It looks like the Queen of the Jungle is about to meet the Lord! 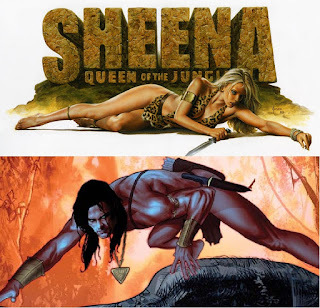 Dynamite Entertainment has announced they have acquired the comic book rights to Sheena, Queen of the Jungle and that the first story will team her with Tarzan himself. 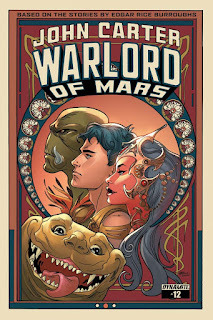 Not only does this mark Dynamite's latest comic title but also the first "official" Tarzan comic book they'll be releasing since making their deal with Edgar Rice Burroughs Inc. last year. For more comments check out http://www.comicbookresources.com/article/sdcc-dynamite-launches-sheena-queen-of-the-jungle-with-tarzan-team-up and stay tuned for more news from this week's San Diego Comic-Con.